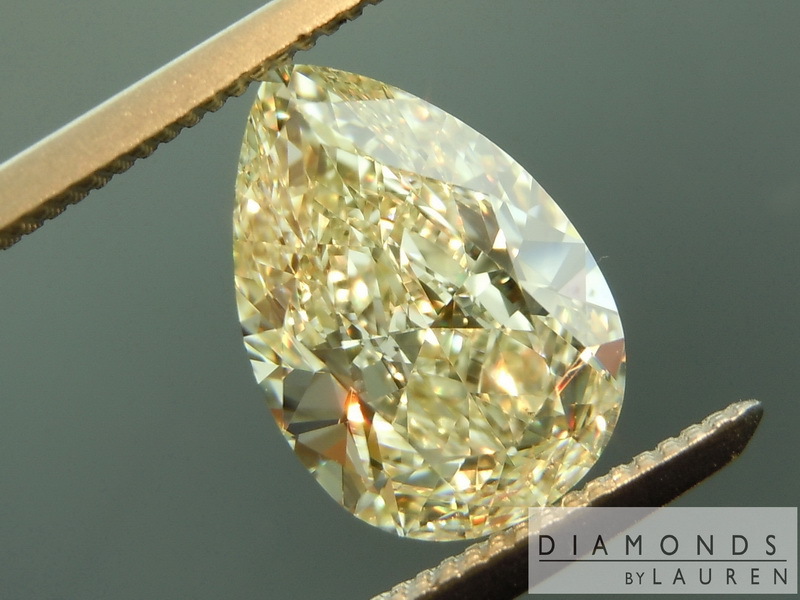 This is a really cool, really large pear-shaped diamond. Let me say up front that I was a bit concerned about the way the pictures looked – it seems like the diamond has a bowtie. 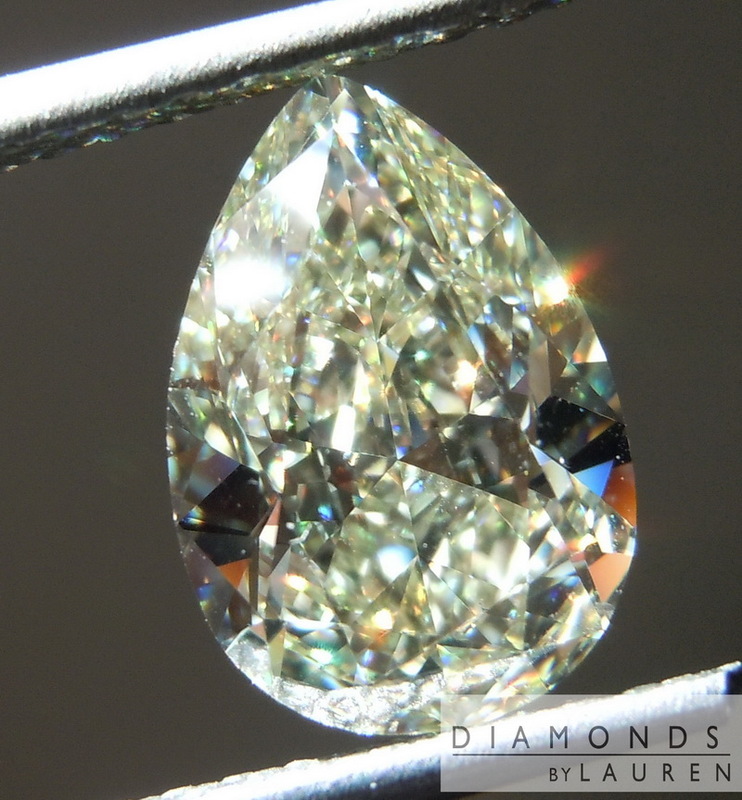 However in real life, and I am writing this looking at the diamond, it does not seem to be a negative aspect of the diamond any way shape or form. In fact it's a very bright area in the stone. 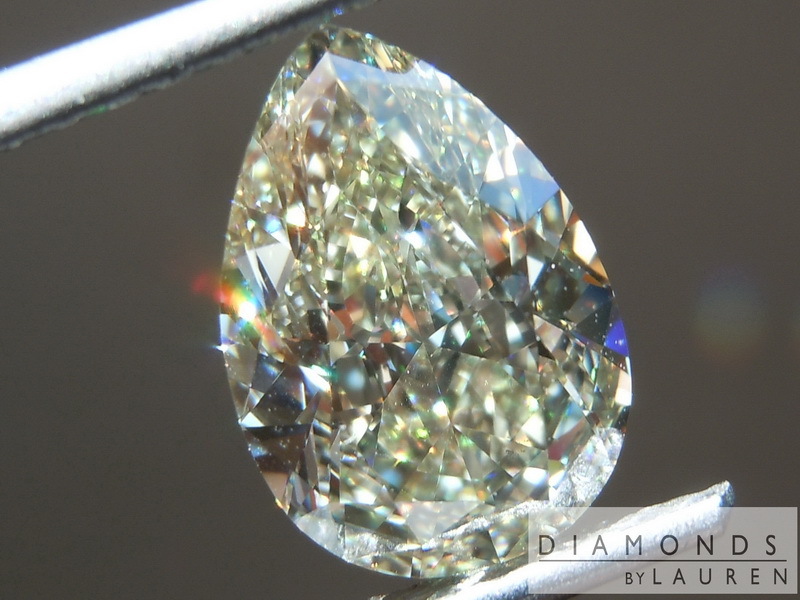 Without a doubt there's a difference in the way the stone sparkles at the top and bottom as compared to the center portion of the diamond. But that difference is not a detraction – as they blend together beautifully. 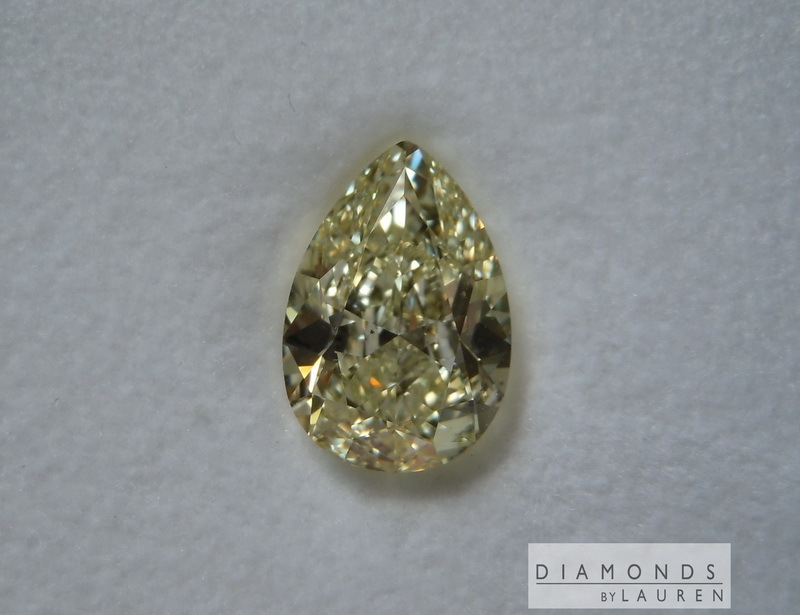 The stone is cut exactly the same way you would a fancy light yellow. There's a thousand tiny light yellow flashes. It is quite bright. When I say bright, the color does come in to play – as you can always see that it is a beautiful light lemon yellow. 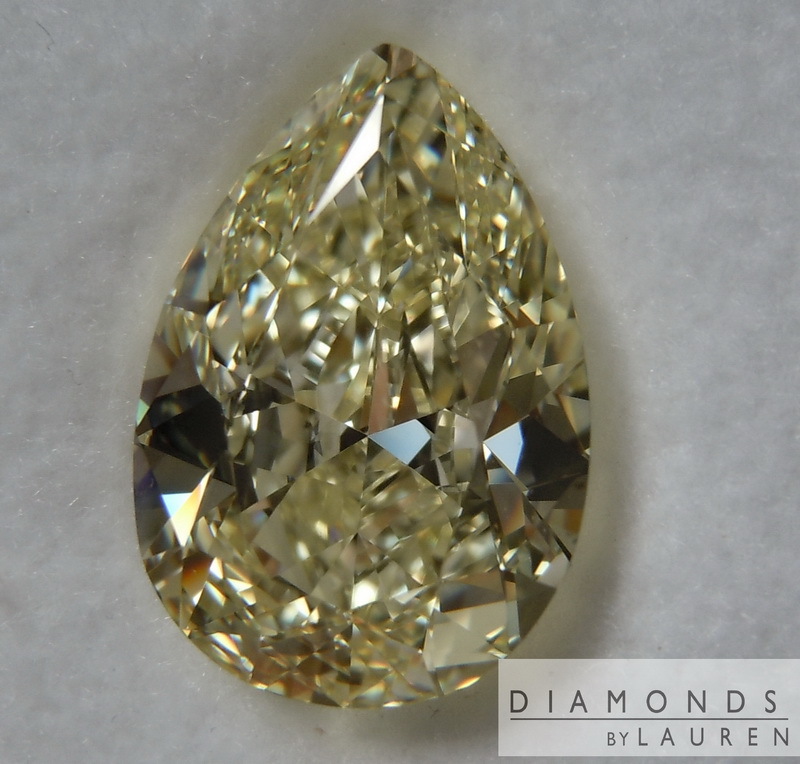 The diamond is noticeably yellow. Combined with the beautiful cut it's truly a beautiful stone to see. Also let's not forget the size – it's over 11 mm long – this is a big rock. 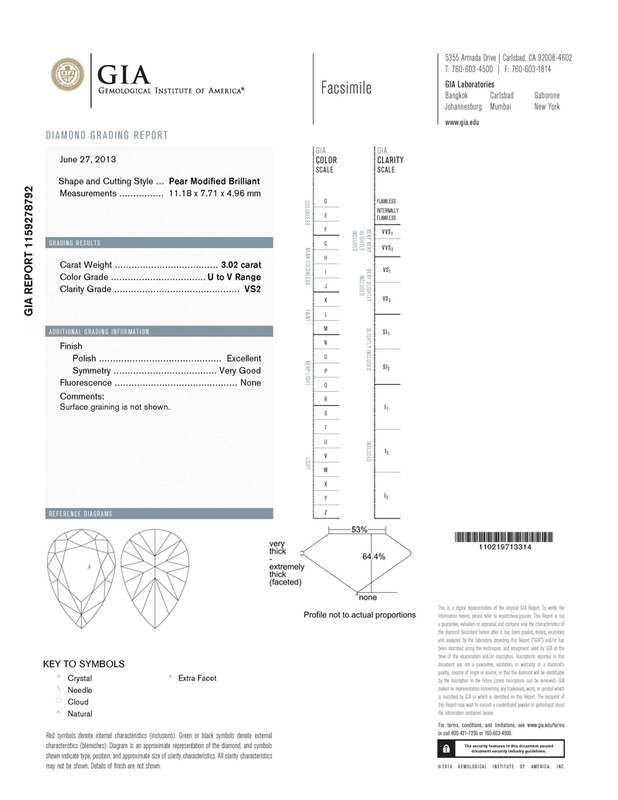 Beautiful clarity, grated VS to buy GIA. EX/VG/NONE-– that's what you want. 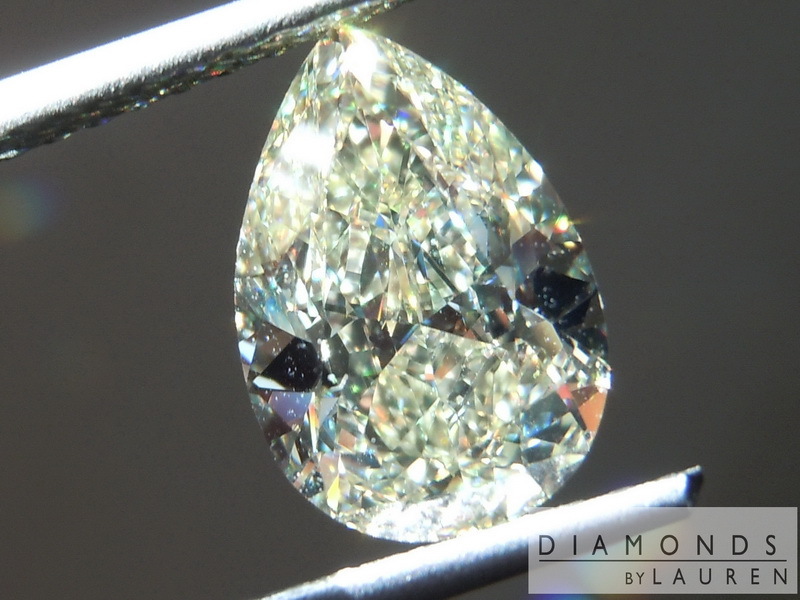 Then we have the price – when you're shopping for 3ct VS diamonds that are cut this well, it's very hard to find any in this price range. 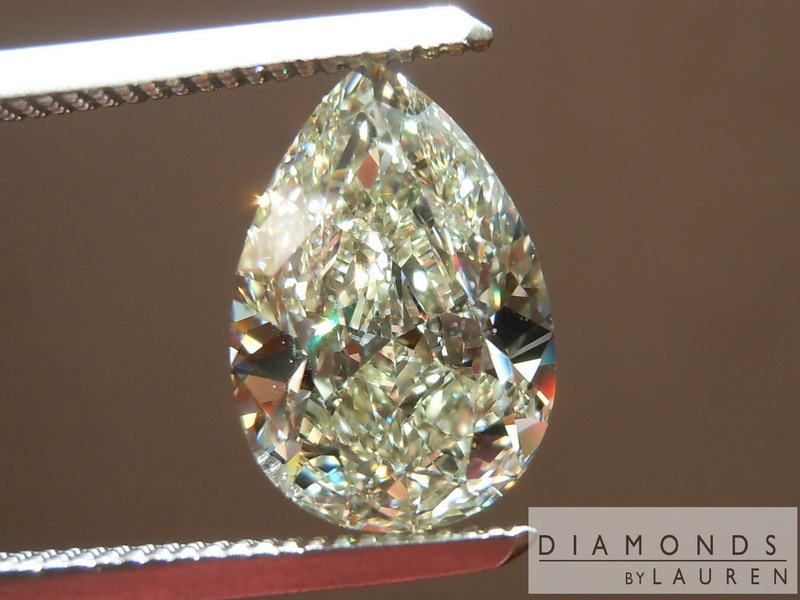 The stone will look amazing in a necklace, or a ring. The photos above are ACTUAL Photos of the diamonds you will receive.